New exhibition of Woking artist Sean Henry. 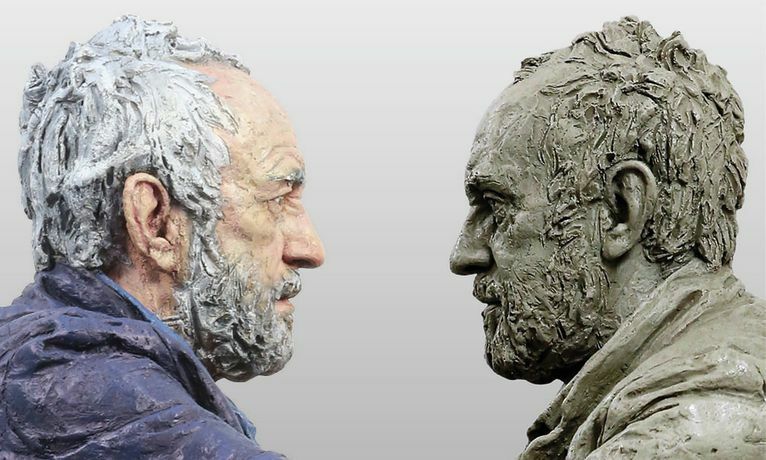 Internationally recognised sculptor Sean Henry returns to Woking, the place of his birth, with a show of artwork made over the last 15 years which will be exhibited both at the gallery and in outdoor locations across the centre of town. Henry’s work is highly realistic and essentially modern in its choice of subject matter, colour and materials. His figures – often anonymous men and women - have an emphatic physicality which allows room for the viewer to draw their own interpretations, while deliberate changes to scale and colour imbue his figures with a powerful interiority and ‘presence’.